ngjy0716 1 year, 9 months ago. Android Nougat 7.1 ROM, ASUS Zenfone 2 Laser/Selfie 1080p Lineage OS 14.1 has now arrived via an UNOFFICIAL build. Also, here is the LineageOS 15 for Zenfone 2 Laser Selfie. If you want some more Lineage ROMs build then stay tuned the Lineage OS 14.1 ROM page or the latest Lineage OS 15 ROM list. Before this Lineage ROM we also had the CM14.1 for Zenfone 2 Laser/Selfie 1080p (Z00T). THIS IS AN INITIAL OFFICIAL BUILD WHICH MAY HAVE MANY MORE BUGS AND MAY NOT BE IDEAL FOR DAILY DRIVER USAGE. HAVE A BACKUP BEFORE FLASHING THIS ROM AND TRY AT YOUR OWN RISK. Installing a custom ROM on a Zenfone 2 Laser/Selfie 1080p (Z00T) requires the bootloader to be unlocked on the Zenfone 2 Laser/Selfie 1080p (Z00T) phone, which may VOID your warranty and may delete all your data. Before proceeding further you may consider backup all data on the phone. You are the only person doing changes to your phone and I cannot be held responsible for the mistakes done by you. – Here is theTWRP update guide for the Zenfone 2 Laser/Selfie 1080p (Z00T). This TWRP recovery guide requires an unlocked bootloader on the Zenfone 2 Laser/Selfie 1080p (Z00T). Download and Copy the GApps and Zenfone 2 Laser/Selfie 1080p Lineage OS 14.1 ROM ZIP to your phone. First flash the Zenfone 2 Laser/Selfie 1080p Lineage OS 14.1 ROM ZIP from device. Then flash the GApps zip from your device memory. Reboot and Enjoy the Nougat 7.1 Lineage OS 14.1 ROM for Zenfone 2 Laser/Selfie 1080p (Z00T). 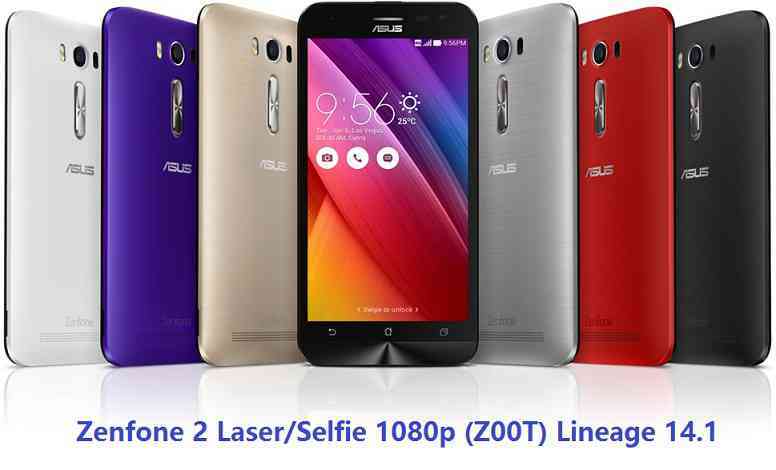 Copy the latest Zenfone 2 Laser/Selfie 1080p Lineage OS 14.1 ROM ZIP file to your phone. Stay tuned or Subscribe to the Zenfone 2 Laser/Selfie 1080p (Z00T) forum For other Android Nougat ROMs, Lineage OS 14.1 ROMs, other ROMs and all other device specific topics. hi I am facing unable to connect to PC via USB. Attached with the error. The Mic sensitivity also low for dialer. but wechat and whatsapp is fine so far. Do you have any solution on this? Thank you.